Much was made of the “Blue Wave” entering the Midterm Election by forecasting astrologers and the mainstream media – and Democrats had a reason to be optimistic. They increased their support in large areas of the Midwest and Rust Belt regions where Donald Trump dominated in 2016, most notably in Oklahoma’s 5th District and Kansas’s 3rd, where they flipped control. 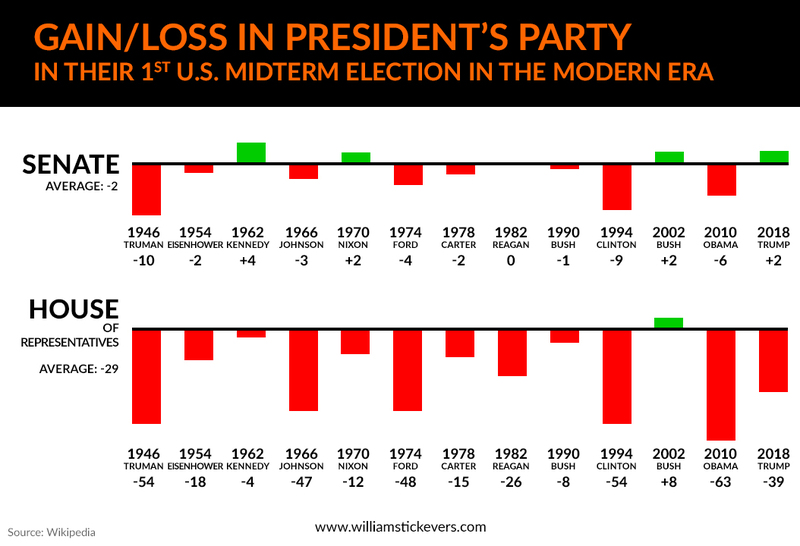 Keep in mind, the President’s party historically suffers big losses in the first Midterm election after taking office. And despite a strong Wall Street economy and approval ratings in the mid-40 percentile, Republicans had to contend the constant swirl of controversy overhanging over the White House, including Mueller’s ongoing Trump-Russian Collusion probe, the so-called Russian election interference that enabled to Trump to beat and defeat Hillary Clinton in November 2016. At 9:33 PM EST, nearly 3 hours before the polls would close on the West Coast, Fox News Decision Desk projected the Democrats will take control of the House of Representatives for the first time in eight years. In the chart of the moment when Democrats were declared gaining control of the House, note the retrograde Uranus in Aries at 29 degrees, a critical degree in the 10th house in square alignment with the North Node at 29 degrees of Cancer and the South Node at 29 degrees of Capricorn. Also note we see an applying moon Sun-balsamic Moon conjunction. Based on these testimonies it’s fair to say we can expect more gridlock, government shutdowns, and the potential impeachment of President Donald Trump could result in some type of congressional face-off. 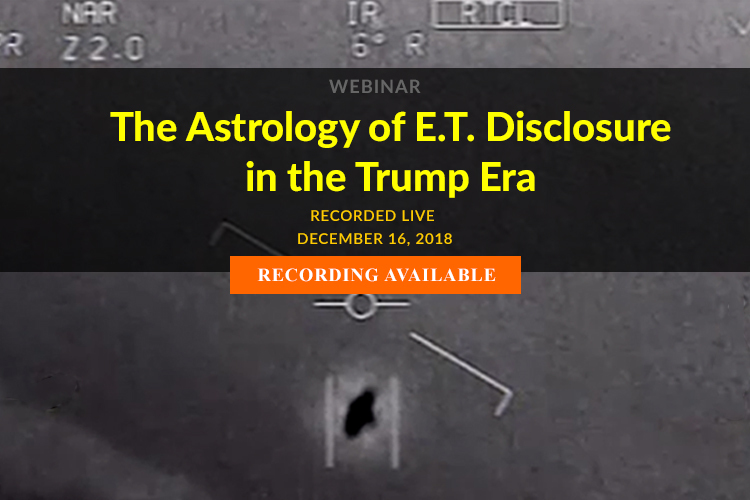 Also, something we need to know with the Uranus-Node alignment is that according to his D.C. sources, Dr. Dave Janda of Operation Freedom says, “There was voter fraud before, during, and after the midterm elections. My sources say there was a staggering amount of voting machines that were impounded Monday night before the election on Tuesday because they had pre-set votes in them. This involved voting machines in all 50 states. . . . Trump had teams out there making sure of the integrity of the vote. That is just some of the voter fraud before the elections. . . . There are a lot of federal officials on the ground. . . . I think this is going to go by the way of the Jill Stein recount event.” Meaning, massive voter fraud will be uncovered in multiple locations across America. So I believe we’re going to see emerging reports of massive voter fraud being uncovered in multiple locations across America. By the time these reports get out it won’t be possible to flip the election results, but it will be a warning about a foreshadowing of what we can expect going into the 2020 election. Going back to the House election, we noticed by midnight Democrats increased their support in large areas of the Midwest and the Rust Belt regions where Donald Trump dominated in 2016, most notably in Oklahoma’s 5th District and Kansas’ 3rd District. Kansas’ 3rd District along with New Mexico’s 1st were flipped from Republican to Democrat. In Iowa we saw the same thing where Donald Trump won by almost 10 percent of the 2016 vote, and Democrats flipped two seats there. In Florida we also saw the Democrats gained Florida’s 26th and 27th Districts which are made up of a large majority of voters stretching south of Miami to the Florida Keys. In Texas the Democrats gained two seats in a state which Donald Trump won by nine points back in 2016, arguably off the back of Beto O’Rourke’s close Senate race with Ted Cruz. But despite the record voter turnout and a staggering $3 billion in Democrats’ political spending, the Blue Wave failed to materialize. Instead, the reality at hand was much closer to a Purple Wash. Again, where Iowa’s 1st and 3rd Districts flipped for Democrats, New York’s 24th and Pennsylvania’s 1st Districts flipped for Republicans. In the House, Democrats secured the 218 seats needed to regain control of Republican seats held in Colorado, Florida, Kansas, Minnesota, New York, Pennsylvania, and Virginia. But again, despite the high turnout on the part of Democrats and with massive influx of capital money into the particular districts with political spending, the Blue Wave at best failed to materialize beyond 39 flipped seats in the House. This is important to keep in mind because at the same time that the Democrats gained in the House, they lost in the Senate races. Democrats lost two seats and the Republicans gained two seats with the Republicans now dominating the Senate 53-47. When we’re looking at this election, we have to keep in mind the historical Midterm average House seat gain. From 1902 to present, the House seat gain for the party that did not occupy the White House on average is 31 seats. And since 1944, the first modern Midterm election, on average the president’s party loses 29 seats in the House, especially when his Midterm ratings are below 50 percent. What Defines a Wave Election? According to political pundits, a “Wave Election” is one in which the out-party seat gain ranks among the top 20 percent of all seat swings. Based on our calculation of 31 as the historical average and the out-party seat gain ranking among the top 20 percent of seat swings, the so-called Wave threshold number would be a larger swing of 48 seats. So, those who believe that there was a Blue Wave don’t understand the numbers or the history behind the historical Midterm averages for the House or the current sitting president. 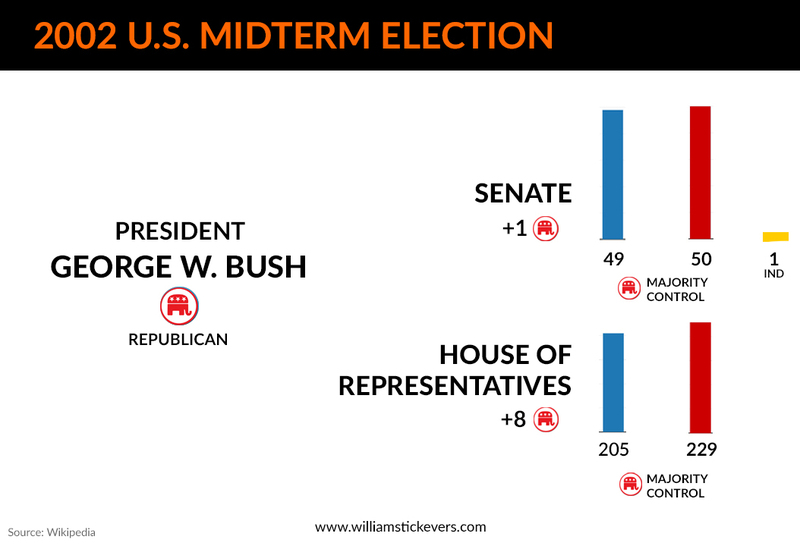 Most incumbent presidents win re-election. Although Democrats had a strong Midterm this year, Midterm election results are in no way strongly correlated with what happens in the presidential years in the following two years after the Midterms. President Trump’s approval ratings in the exit polls are also something to bear in mind which were averaging between 45 to 46 percent. This is better than Reagan’s presidential approval rating in 1982 which was only 42 percent, and about the same as Clinton in 1994 at 46 percent. In 2010 Obama’s approval rating was the same as Trump – 45 percent. Trump’s approval is less than that recorded for Jimmy Carter in 1978 at 49 percent, and for George H.W. Bush in 1990 with 58 percent. Both Carter and Bush lost seats in Congress as well as losing in the next Presidential election. They did not get reelected but had higher poll ratings than Trump and Obama, Reagan, and Clinton, presidents who got reelected. The other thing to keep in mind is after two unrelenting years of the Mueller-Russian collusion “witch hunt” investigation the persistent fake news attacks by the mainstream media the cabinet hearings the trade war with China and the Mexican Caravan, not much has changed with Trump’s poll ratings. His approval rating at 45 percent match his 46 percent of the popular vote he received in 2016. Midterms are referenda on congressional incumbents. In this graph of seats gained or lost in the President’s party in the first-term Midterm election in the modern era, we see that Harry Truman – who is considered one of the most successful Presidents of all time – lost 54 House seats in his first Midterm election and 10 Senate seats, and went on to win decisively in a very large turnout two years later where he won by one of the most significant landslides in history up until Reagan. In President Ronald Reagan’s first Midterm election, he lost 26 House seats but went on to the largest landslide of all time in his reelection bid. In 1994 President Clinton lost 54 Democrats in the House and nine in the Senate. This was a very significant loss but he went on to win decisively against Bob Dole in the 1996 General election. Let’s look at President Obama, who is considered one of the most successful presidents, the eighth ranked president, ahead of John F. Kennedy and considered having much more of a political impact, according to political scientists. In fact, according to a national survey for Millennials, 67 percent of Millennials believed Barack Obama was the best president ever, even better than George Washington, the first President, one of the founding fathers of this nation, and the General that one the Revolutionary War. So, we have to keep that in mind that as popular as Barack Obama was in 2010 and still is today, for all his vaunted charm and popularity, he lost 63 seats in the House in his first Midterm election, as well as six Senate seats. Again, this demonstrates that even with a negative 63 seats in the House of Representatives and negative six in the Senate, his party lost substantially but he still went on to win a narrow politically contested General election against Mitt Romney. For the 2018 Midterm election, in the states where Trump campaigned staking his personal appeal, especially in those toss-up races in the closing weeks to the election, his candidate won in almost every state, except in Nevada and Arizona. Many of those Republicans ousted in House races were moderates who had resisted the Trump agenda, such as Mia Love of Utah and Barbara Comstock who lost big. By flushing these anti-Trump “Rhino Republican” lawmakers out of the party, Trump has essentially solidified his dominance of the Republican Party. This will be key for his reelection attempt in 2020. Based on the Political Contest Horary projections my team made, we believed Democrats had a 53% chance of winning the House, then that the Republicans had a 51% chance of holding onto the House of Representatives where we forecasted that we saw a solid 21 to 22 Democratic House wins and that a majority of the Senate races would be won by Republicans. We did see Democrats making gains; however, since the election results, it was clear that the Democrats had a better ground game, a better grassroots job of building real nuts-and-bolts House district candidates even though the overall Blue Wave strategy was a failure. Out of 120 election projections called we got 97 contests correct, that’s an 81 percent accuracy rating. So, we did fairly well against FiveThirtyEight (89 percent) and PredictIt (87 percent), but we could do better. In the 2016 election where we looked at all 50 states, we got a 92 percent accuracy rating, beating FiveThirtyEight (89 percent) and PredictIt’s (88 percent) accuracy. This time we came up a little short. But there was a learning curve in trying to understand how the local dynamics behind the House district candidates and House district races, something that we are in the process of learning from and we will do much better going forward. However, this is still a very good testimony of the power of Political Contest Horary. Again, Midterms are referenda on Congressional incumbents; Presidential elections are choices. The 2018 Midterm election results revealed the changing Democratic Party to which the 2020 President aspirants will have to appeal to, based on exit poll data. In addition, post-election results data show that they want leaders who look like their party’s dominant base of younger nonwhite female voters who are very pro-government, who support government regulation in industry, who support environmental protection, who support social welfare programs, the expansion of social programs pro-immigration, and open borders, and who are socially very liberal in their beliefs and values. The trend we see emerging now with the presidential aspirants who are putting their hat in the ring speak very much to this, as we see Kamala Harris, Beto O’Rourke, Bernie Sanders, Joe Biden, and Elizabeth Warren who, as of today, are considering running in 2020 against Donald Trump. Reagan, Clinton, and Obama, who recovered to win reelection after losing big during their first Midterm, didn’t do it without making some adjustments. Both Reagan and Clinton took on a more explicitly bipartisan approach after their Midterm losses. Obama, owing up to his shellacking after 2010, decided to move away from his bipartisan approach to a more combative approach in 2012. This past February Trump confirmed he would run for a second term as president and, according to the BBC News, he has already raised over $22 million for his campaign to remain in the White House. At this point, Trump’s reelection is the most likely outcome against any major Democratic candidates such as Kamala Harris, Beto O’Rourke, Bernie Sanders, Joe Biden, and Elizabeth Warren, according to Oddsmakers, which aggregates online betting odds from top bookmaker agents. As it stands today, it’s nearly 70 percent. Using Donald Trump’s natal horoscope, we can see this Blackbox which indicates and shows all the planetary transits and solar arcs making direct hits to his natal chart, from January 20th, 2017 to January 20th, 2021. We see that during the time of the election he was hitting a high, a very strong peak. And we can see here that through 2018 he’s had his ups and downs, and then there will be a low point sometime around in May-June of 2019. But at that point, the Blackbox scoring starts improving and moving up until November 3rd, 2020. So, between late April/early May until November 2020, the President will be more on an upswing. We can expect lots of ups and downs with the Trump administration, probably with him reaching some type of critical turning point and then a recovery that gets him in a good position where prospects of his reelection will be dependent upon who’s running against him, as well as the economy – because the economy is the level of growing uncertainty that’s been on display with the latest set of gyrating financial markets that had been increasing in volatility from October onward where many economic factors are now building and converging on itself to the point where it has darkened the expectations for Trump’s next two years. For Trump really faces rising odds of becoming the first president to seek reelection during an economic recession since Jimmy Carter. And that would represent an ominous sign of the president’s chances of a second term, even though the odds of a full-blown 2009 Great Recession crisis are still around 35 percent. But we also have to remember that at this time last year the odds of a full-blown 2009 Great Recession crisis were just 26 percent. 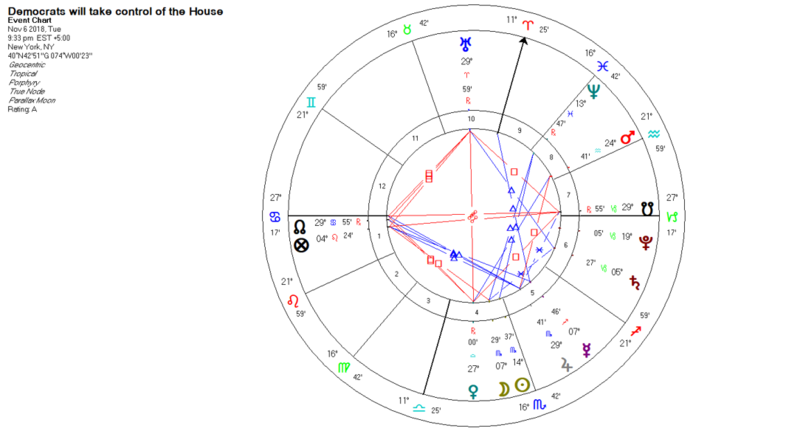 We need to keep all of these factors in mind, and also keep in mind that the overall transits and solar arcs to Trump’s natal chart are supportive enough to indicate that he has the acumen, the skill, and the wind at his back for winning re-election. 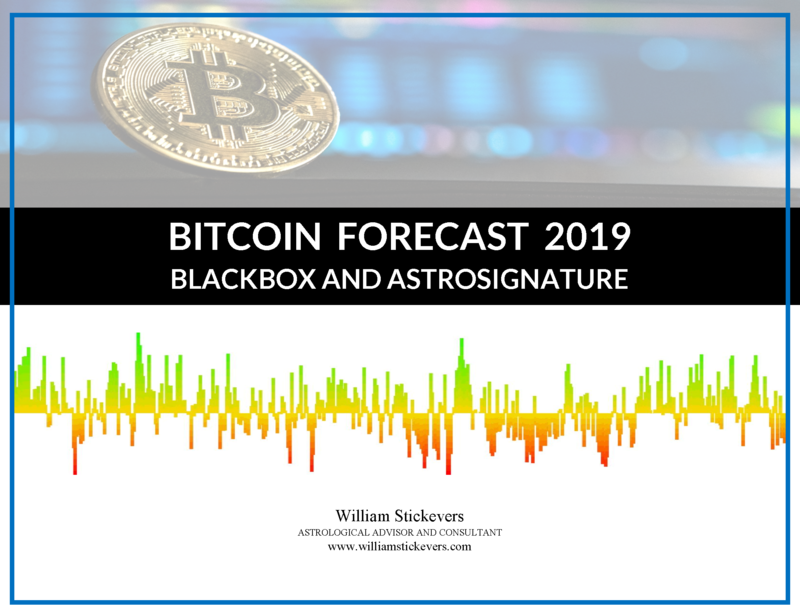 However, after observing astrologers making forecasts over the past 29 years, presidential forecasts in particular, history has shown me that most will ignore history, over interpret the Midterm election results, and argue that the next election in 2020 will be one where they will be fully justified to reinvent the political wheel according to their partisan political worldview. Based on the post-Midterm data and the mundane astrological portents of 2020, I believe that the Democratic Party will likely move toward nominating an individual who might make an excellent president and will run an excellent campaign (and meets the criteria of the new emerging Millennial-based party), but who would not actually have a chance of beating President Trump based on the current Electoral College demographics, at least based on what we can see in the results of the post-Midterm election.